Get a free PDF signage packet with GreenPoint Rated Open House Signs and the Green Features Flyer. 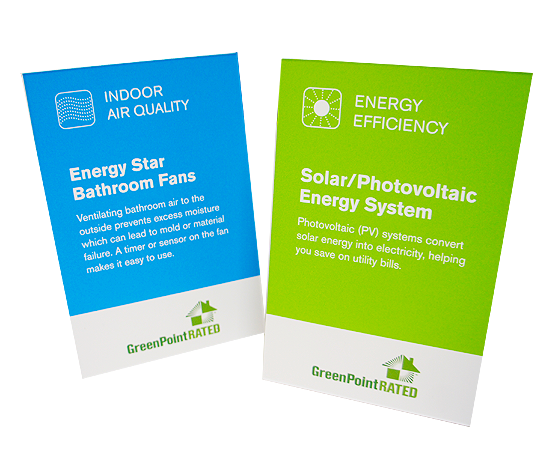 Your home must have already received its GreenPoint Rated certificate before you can order these materials. 1) Search Search for your GreenPoint Rated home by address using the form on the right. 2) Submit Your Request If your GreenPoint Rated home is found in our database, you can submit a request for signage. Please including your contact information and upload a copy of the deed for verification. 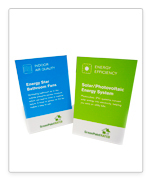 3) Receive Your Signage A GreenPoint Rated staff person will contact you with any questions or email you your signage packet PDF within two weeks of your order. City or zip code are required. Thank you for requesting signage for this property. A GreenPoint Rated staff person will follow up with you in the next 2 weeks regarding your request. 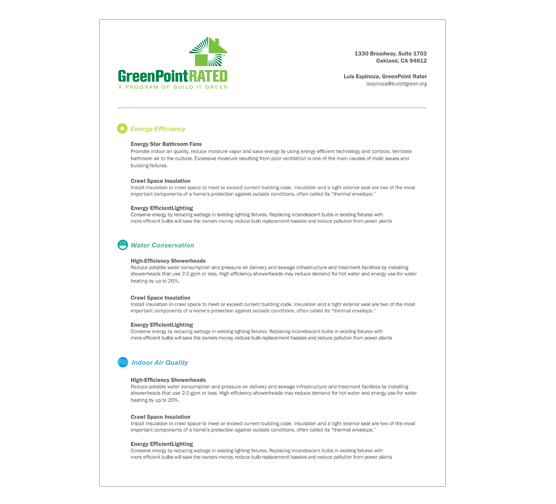 For more GreenPoint Rated marketing materials to help you sell your home, please visit our collateral library and homeowner website. Questions? Signage is not available for all GreenPoint Rated homes.